Everyone that plays or watches sports knows that keeping your eye on the ball is more important than taking into account what the other players are doing. It’s how you win the game, be that football, basketball, tennis or any other ball sports. And winning the financial independence game is what it’s all about. Why do I like the boring and recurring nature of dividend income? Well, there’s two very good reasons. First, every time a dividend payment hits my account I’m filled with joy that I made money without having to lift a finger. While I was sleeping, going out with friends, cycling – although not last month due to my accident, and generally enjoying life businesses all around the world worked their asses off to forward me a piece of their profits. It’s a great recurring stimulus. Second, I can take advantage of the double compounding effect. On the one hand I get to see how these dividends increase year after year, semi-automatically almost, while on the other hand I get to put fresh income immediately to work in the stock market again. As a result, I propell my passive income forward faster and faster as I progress. Once that passive income surpasses my monthly expenses I’m effectively financially free and I could potentially retire early. So let’s see where I landed in June with regards to free-of-work income! At the beginning of the year I told you guys that I was aiming for €1,500 in dividends for 2016. Since that time I’ve come to realise that I might have aimed for the stars instead of the moon, but I’m still happy to report that I passed the €1,500 forward dividend income mark. Still on track, but not really. However, that’s just a minor complaint when you consider that I only started a little under two years ago and had three amazing months back to back already in 2016. On top of that I managed to seriously up my game this month compared to June last year even though almost the same nine companies distributed a dividend – re-investment at its finest. If I keep this up I should seriously push my financial independence date forward yet again. In total nine companies’ dividends landed in my brokerage account, most of them being quarterly regulars, with French oil tycoon Total (EPA:FP) being the odd one out because its payment date seems to jump all over the place. Its sector brethren BP (LON:BP) and Royal Dutch Shell (AMS:RDSB) help push income from oil operations to almost 50% of this month’s income. My recent addition to US chip maker – I first wrote chimp maker, ha! – Qualcomm (NYSE:QCOM) is also paying off already, with the current payment being over four times as much as before. And with the company’s recent strong performance and earnings I can expect that payment to grow even more in the next years. I’m really pleased with another three figure month in the books – that’s four months in a row now that I made over €100. June’s total number comes in at €106.73, which is almost enough to cover all groceries during the same period. I guess I’ll never be hungry again? Great! As most of you know my net worth soared to new heights the past couple of weeks, barraging past any previous upper limit like nothing before. And I’m glad to say that the same thing is happening with my passive income. Compared to last year, June’s income grew by a staggering 91.07%. That’s not as much as the numbers we saw in January and February, but still very solid considering its my overall strongest quarter. Most of that increase is the result of fresh money being shoveled into stocks, but a small portion comes from organic growth like is the case with Aflac (NYSE:AFL), Johnson and Johnson (NYSE:JNJ) and IBM (NYSE:IBM). These companies work around the clock to up my passive income. You can see their and my efforts reflected in the chart below. At the moment I’m hovering around 48 Euros of income on average every month for the entire year. Just half a year has passed by and I’m already nearing last year’s number, amazing! Of course I won’t stop there. Over the coming months I’ll try to save as much as possible and continue to invest those savings into high-quality businesses that will fuel my free-of-work income ever higher. Now that we’re six months into 2016 it’s fair to say that it’s been a good year so far. At the moment I’ve made a grand total of €579 in dividend income, which is almost enough to live on for one month with just the bare essentials. With six more months to go it seems unlikely that I’ll make my €1,500 target for this year, but no matter. Winning the lottery takes time, or so I’m told. So I’ll just do the rational thing – even though some might consider it insane because it’s very repetitive: saving as much as possible and investing those savings for the future. Money has the awesome property to turn into more money if you put it to good use, so you can bet on it that I aim to do just that. Of course, the grass always looks greener on the other side of the fence, but it’s no use to complain about that. Others might be doing better, but who cares? Remember, keep your eye on the ball and not the other players! How was your month in terms of dividends? 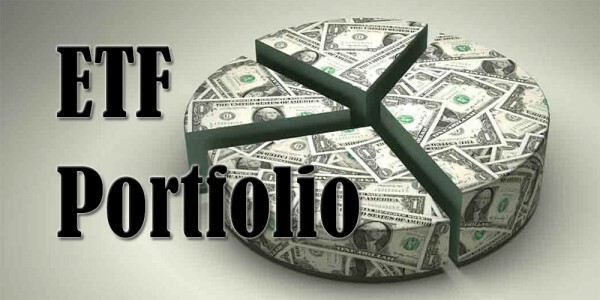 Have you recovered from the dividend bonanza of the past couple of months? Nice streak! You’re on a roll. 4th Time over 100 Euro’s. And if you are over 1500 forward income already, than that looks promising for next year to. With six more months to save and invest I’m sure to grow that forward income even more. As a result, next year should see large gains once more. Now, if the stock market would come down I might grow my future income even faster. Yes the overall market is a problem. I just started last year and to be honest, I don’t really know a lot of companies that feel good to invest in at current valuations. Impressive results, NMW! I share your joy when the payments hit my account. Fresh income hitting my accounts really lifts my mood during the day – kinda weird, but who cares as long as it works. Very nice month again NMW! Great to pass the limit of 3 digits in income :). I think i caught around €70 this month, and increased my position in Ageas with 55 shares to 100 in total. Next year this will nicely payoff. Awesome feeling, right? And you’re already at €70, great job! Congrats on your AGS purchase – that’s a lot of new income you’ll get next year. I have added to my Ageas position again when it dipped below the €30 mark. Really don’t get why it’s being priced so low by the market at the moment, but I won’t complain. Hopefully prices stay low enough so I can add more in the future because my position is starting to become rather large at the moment. it seems you are doing great. it seems we have quitte a few companies in common. June was another great month indeed! Let’s hope I can continue this track record for the coming months. Glad to hear we share a couple of companies – you know what they say about great minds! Alphabet and Amazon have been on fire lately indeed, congrats! Tech stocks in general have a larger upside, but also involve a lot more risk than many of the dividend growth stocks that are in my portfolio. If Google ever reaches a point where it’s operations stabilise and management decides to pay a dividend, I’ll be all over it. Hey Inge, you ask a valid question. In return, here is another question: do you use products that are oil based (drive a car, ride the bus, take a plane for holiday, have plastic at home – it is oil based after all) I gave it thought as well. As I use the products and do not plan to stop, I might as well invest in it. I commend you for your efforts on reducing your environmental foot print – it’s something I try to do too. Small efforts turn into a major force if kept up long enough, never forget that! I’m of a similar thought, but feel something for Inge’s ethical conundrum as well. I’m still not 100% sure if oil companies should be a part of my portfolio, but for the time being I’ll leave them there. Besides, I don’t see a future where all of them survive, so they better hurry up switching to sustainable energy delivery to stay relevant. There is a lot to think about the ethics of investing. To me, it all starts indeed with the actions we take (drive less car, buy ethical clothes,eat local food,…). As I know very few companies that have zero environmental impact (goods need to be produced and shipped) , I keep that out of the equation for now. A thought I have with the oil companies is the sustainability of the dividend. For now, I stick to my RDSA stock. I’m probably somewhere in the middle when it comes to Triodos and an all-out profits approach. I do think optimising your investment returns is important, but not at all costs. That’s why you won’t see me purchase arms or cigarette manufacturers, for example. Oil has always been a bit of a big question mark for me. Even though I know its environmental impact isn’t any good, I don’t think its unethical to invest in it. I follow Amber Tree’s school of thought: I’d better get my own foot print down (no car, energy efficient heating, etc.) and leave the big social and environmental regulatory impact to government. Modern life simply isn’t possible without oil even though sustainable alternatives are starting to pop up left and right. On top of that, when I invest in energy companies I also look at the efforts they make towards a sustainable future. Even though a big part of those statements is window dressing, I believe most oil majors try to practice what they preach – European companies more so than American ones. Take Shell, for example: horrible track record when it comes to environmental damage, but they’re slowly shifting away from that towards natural gas and now even wind energy projects in the North Sea. your updates are always a real injection of motivation to me! For me as a German investor, july is not among the best months. However, my internatonalization efforts begin to pay off: I received 9,34 from Coca Cola, and 25,12 from GSK. On top of that, I received 27,56 from the IShares Euro Banks fund, which I purchased right after the brexit-referendum in the expectation it won’t be too bad after all – by now, a successful investment. Thanks, really glad to hear that! It’s one of the main reasons why I write these posts. Home bias as a European investor does make it so that the second half of the year is much lower in terms of dividend income indeed, but I can see that your first international purchases are starting to pay off already. Wish my position in GSK and KO was as large as yours! June wasn’t to good but there was a reason (see my post for that month). Anyways hope to get back up to regular dividend payments in Q4. good luck with the dividend building and reinvestment. 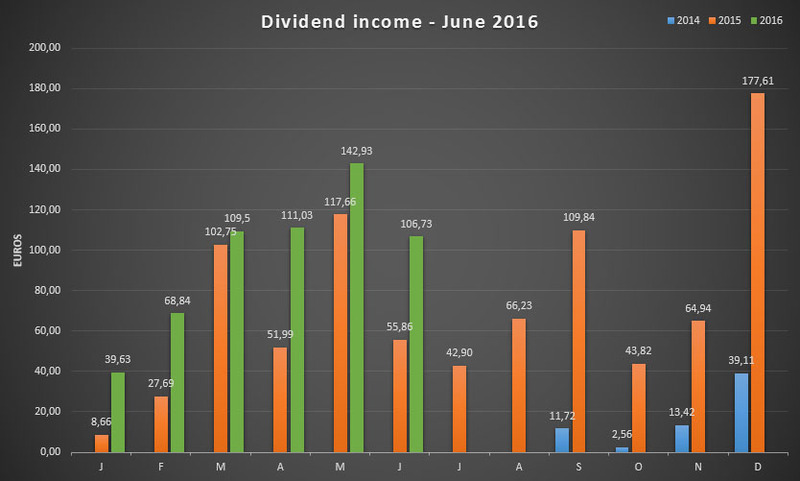 A problem for me is sticky months where I get less dividend payments, June is particularly bad. I have been lucky enough to have reached £1,216 dividend payments the first half of this year jan- june. If you are in the UK you can earn £5,000 dividends tax free and put £15,000 a year into an ISA which avoids tax on dividends. Good to see you having a great month. Great to see the growth continue! Nice growth NMW. July was also my fourth month in a row of triple-digit dividend income. Ah, more free money. Nice month Mr. NMW. Missing some of your updates. 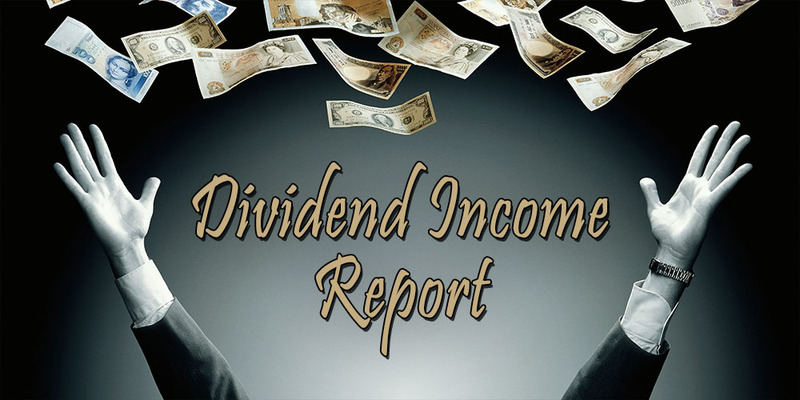 When is the next dividend income going to be posted? How do you reinvest your dividends? How do you make all your stock purchases? What feels do you pay for each time you want to buy more stocks / reinvest your dividends? 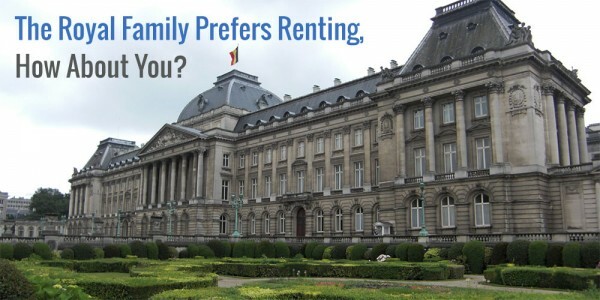 If you are using dividend reinvestment plan, do you still have to pay tax on the profit from the dividends in Belgium? Soon I also want to start investing from Be. 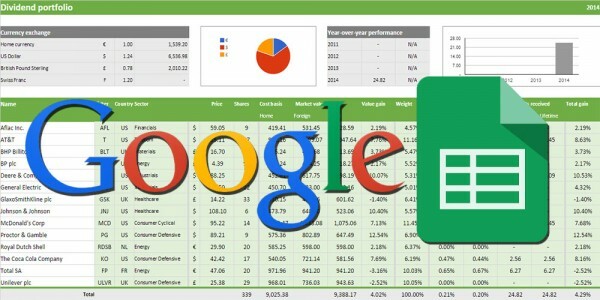 What brokerage do u use ? Do u know anything about ‘interactive brokers’ ? They seem pretty cheap and safe. Waiting on your next interesting post ! Nice Blog ! Where are you NMW? Loved following your blog – you were one of my inspirations! I hope you are ok and healthy ! How are you NMW? I miss the updates! Your articles were really motivating! 🙂 Hope all is well. Keep the good work… waiting for an update! Cheers. Long time since we’ve heard from you. Hope all is well and you’re progressing towards your DGI goals. Happy New Year in 2017 ! Someone at a VFB conference mentioned your blog.